You lost everything in that storm: your ship, your crew, even your freedom. Now you've washed up on a tropical island that's cursed by a magic ring which forces its bearer to lash out in anger and control others. Can you release the kind captain from its spell to free everyone on the island, or will this be your new eternal home? The captain's crew is more than happy to help, but it won't be easy to destroy this ring, especially not with the artifacts on the island amplifying its power. 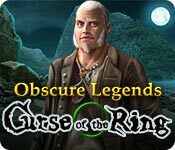 Use your wits and scour the island to uncover the ring's secrets and destroy it once and for all in Obscure Legends: Curse of the Ring, a daring Hidden-Object Puzzle Adventure game. Obscure Legends: Curse of the Ring is rated 3.9 out of 5 by 42. 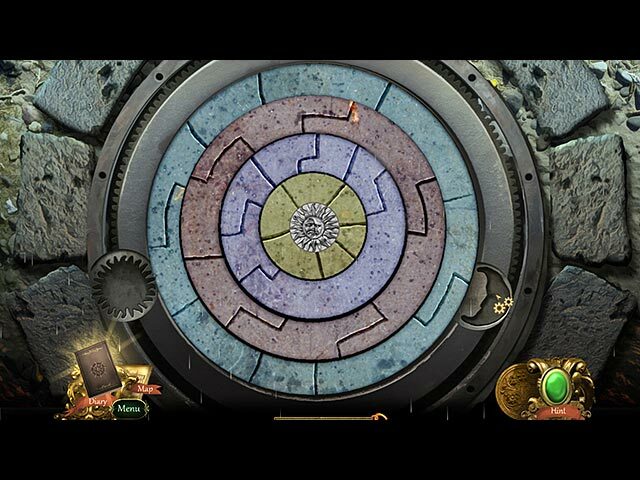 Rated 5 out of 5 by charlene_lane from THIS GAME ROCKS - DESTROY THE RING What a awesome game and so worth playing. There is: * Voiceovers (with dialogue); * Casual, Normal, Hard and Custom modes of play; * Interactive map; * Diary; * Mr Gibbons, the parrot, to help you get items out of reach; * Find lots of doubloons (coins) to fix the ship. The graphics are lovely - crisp and with plenty of colour. Even in the darker scenes, like in the caves, it is easy to find everything you need. Sound is very good and the music is orchestral. You can turn off Skip and Hint to make the game more challenging, which is an absolute favourite of mine. 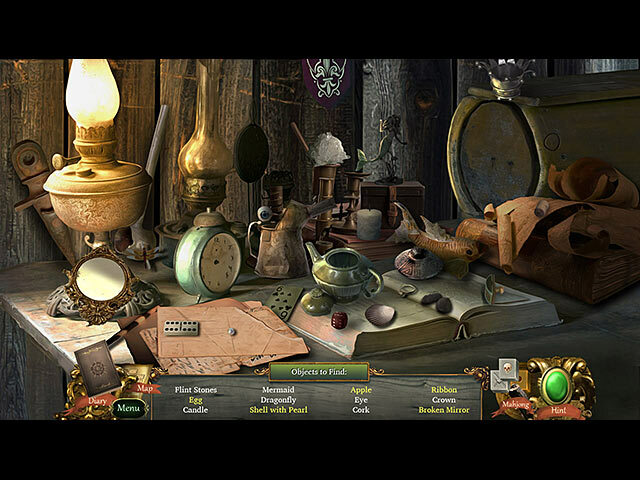 The hidden object games are slightly interactive straightforward, some of which you do twice. These don't take long to do because every item is clear to see. However, if you feel like a change then you can play Mahjong instead. There are a huge range of mini-games to play and I loved all of them. Most of them are relatively straightforward and fairly easy to do, but some of them took a while to get to their right places and colours. A couple of them took me about 20 minutes each - what looked easy turned out harder than I thought. Throughout the game you will find doubloons (coins) to fix the ship. Early in the game you will rescue Mr Gibbons, the parrot, who will keep you company and to get items out of your each. All up the game took me about 6 hours to play, not skipping or hinting anything, which is good value for money. Overall, a fantastic game with lots of bells and whistles. I liked the characters to the story and really felt that I wanted to help them. I'm sure you will love this too. The game is sort of old school but I think its a classic. This game can be played by all members of the family and definitely a great time filler between all the other much bigger games we play. Well worth playing this game - its a gem. Happy playing fishies. Rated 5 out of 5 by gamesrgreatfun from Great Pirate Game and Story! I downloaded the game this morning to try it out. My granddaughter and I were playing it and we became so engrossed in playing that I forgot I didn't own it until the screen popped up that my free trial was over! I immediately bought it and we continued playing. I played it most of the day and just finished it tonight. It was an awesome game and I'm very happy I bought it! There were lots of fun things to accomplish and even though there was a lot of running around the island there was a nice map to let you know where you should be going next and you could transport there if you wanted (which I did). The areas were revisited a few times and then just when you might have become bored with them, a new area would open up! I loved the moving ocean--so realistic. The other scenes were very well done also. I was eager to explore all the new areas (and there were quite a few) There were tons of mini-games which are my favorite part. Some of them I had to skip but most of them I played and enjoyed. 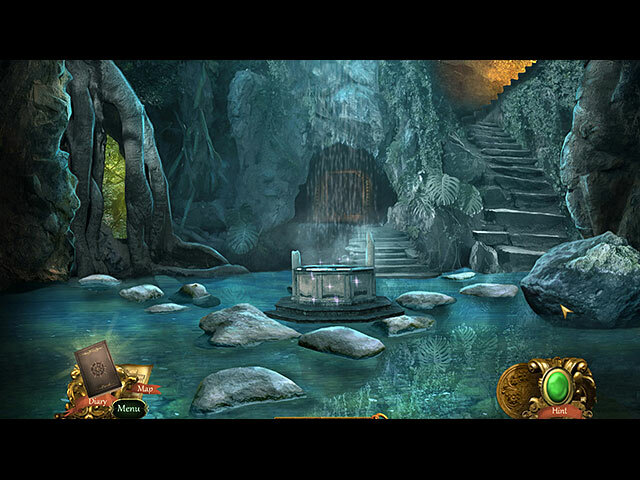 They were nautically themed to go with the game as were the hidden object scenes. I would say there were twice as many mini-games as HOs or so it seemed. I didn't count them but it felt that way--which is awesome!! I had an enjoyable time playing this game and I would recommend you to at least download the trial to see if it is your kind of game. If you like pirate themed games as much as I do, you should try out Adventures of Robinson Crusoe and the sequel Robinson Crusoe and the Cursed Pirates, 2 of my all-time favorite games. Rated 5 out of 5 by whiting71DK from Keeps growing on one . . (SE) The STORY of this game is as good as any, not particularly captivating. HOS’ are traditional with a couple of extra hidden bits. VOICE-OVER: pirate rough stuff mostly ARTWORK: very clean, calm, a bit dark, but free of heaps of paraphernalia, beautiful ! MUSIC: pleasant, unobtrusive / Sounds fit the scenes PUZZLES: plentiful and varied, some easy, some pretty challenging and fun Alltogether, It’s a very well balanced game which keeps you on track all along . . For GUIDANCE: there’s “hint”, a parrot, a map and a note book AND collectables with a purpose. When I started this game I thought that this isn’t anything special, but, as I wrote in the title, it really grows on one ! I enjoyed this game very much, in fact. Rated 5 out of 5 by tutortime from Great Game ! So nice to play something different for a change. I really wanted to visit that island ! Mini games were different and interesting. Rated 5 out of 5 by LXC12 from Had lots of fun with this one This review is based on playing the demo. I don't want to repeat too much of what is already in other reviews -- Nice variety in the mini games, good map, interesting environments. All in all, a really fun and well-crafted game. The puzzles made good sense -- I like that the choice I would have made in real life is what was called for in the game (I wish I could say that about games more often!). I also like that useful tools stayed in the inventory -- too many times in other games you use a knife to cut something and then it is gone. A few minutes later you need to cut something else and have to find something else to cut it. That just makes for tedious, contrived puzzles -- these were logical and gave me a chance to think. The game unfolded well in that items were never so far away from where you needed to use them that you forgot what you needed them for. Nice pace, not too "dense" with story. Scenes have a few tasks in them or items to interact with and are not tedious or over-cluttered. I don't generally buy games that you can't replay differently but I may buy this one because it was so much fun to play. Rated 5 out of 5 by greenshade from Long game and long on fun For an SE this was a long game and altho' not the most challenging game it certainly kept my attention. You collect coins along the way to "repair" your ship which is actually a drawing but I'm wondering if I hadn't repaired it if I would have been able to get off the island? Slightly interactive hos with mahjong option. LOTS of puzzles!! anyway, was able to get it with a coupon code so it was definitely worth the money!! Will I play it again? Probably not but it was fun while it lasted..and it seemed to last a while.. so many places to explore (even if there weren't more than 3 or so things do in each scene). Rated 5 out of 5 by cejene from Enjoyed this Game Good story and graphics. Need more games like this. You have your HOS, you collect coins and have a bird to help. Give it a try. Rated 5 out of 5 by Denverfan46 from Unexpected winner! I really loved this game. The art and graphics are amazing. You really feel like you are in a swamp or a jungle. The rivers actually look real. Lots of mini-games and HOGs. Extra points for the search items actually fitting the time period and story! Items were large enough to find without eyestrain. Good interactive map. Good story line. Easy to follow. Rated 5 out of 5 by utahgranny from Great mini games I just finished playing this game and loved every minute of it. It's not too hard and not too easy. The mini games are very challenging and that's what I like - a good challenge. I would highly recommend this game for anyone. You're the sole survivor of a shipwreck, but you can't leave the island until the captain's cursed ring is destroyed.